Kirkstall Abbey lies right in the heart of the city of Leeds, surrounded on all sides by urban development and busy streets. A former Cistercian monastery, Kirkstall was founded in 1152; it was the result of a gift from Henry de Lacy, a local lord of the manor, who promised to establish an abbey dedicated to the Virgin Mary if he survived a serious illness. True to his word, de Lacy helped Abbot Alexander and 12 Cistercian monks locate and acquire some land in the Aire Valley. This land, described at the time as being ‘remote from the habitation of men’, was already occupied by some hermits, who apparently needed to be displaced – history doesn’t record how they felt about that – and the monks soon settled there. The earliest wooden structure was soon replaced with magnificent stone architecture, much of which survives today. By 1182 the construction was complete, and during the next 400 years Kirkstall was in almost continuous use as a place of worship. Apart from the abbey itself, with its cloisters and tower with arched windows, there was a dormitory, refectory, infirmary, abbot’s house, and living quarters for the monks. The buildings remained virtually unchanged until the Dissolution of the Monasteries by Henry VIII in 1539. 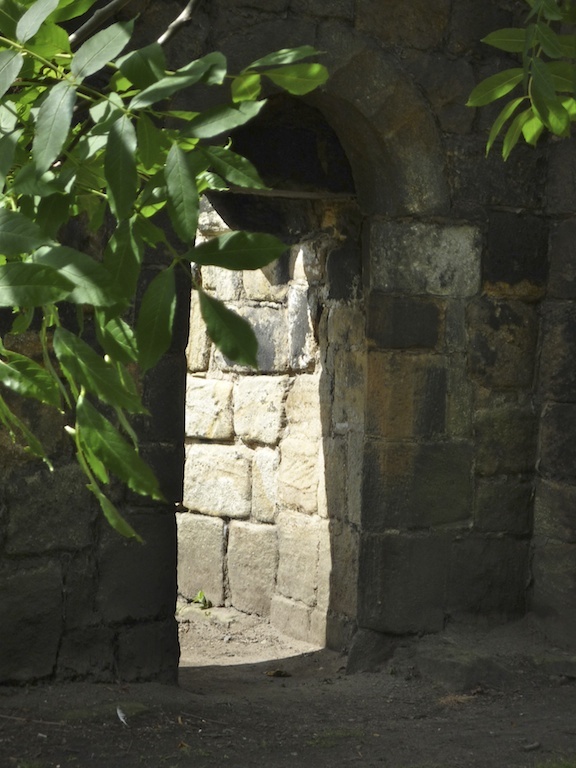 Having given Kirkstall’s inhabitants their marching orders, the King ordered the roofs, windows and furnishings to be removed so that the monks would be discouraged from coming back. The main road into Leeds was diverted through the great east window and up the nave, and some of the remaining buildings were incorporated into a farm. During the late 18th and early 19th centuries, Kirkstall Abbey became a popular subject for some of the most celebrated artists of the day; J M W Turner was one of the famous painters who were attracted by its romantic, ruined grandeur. 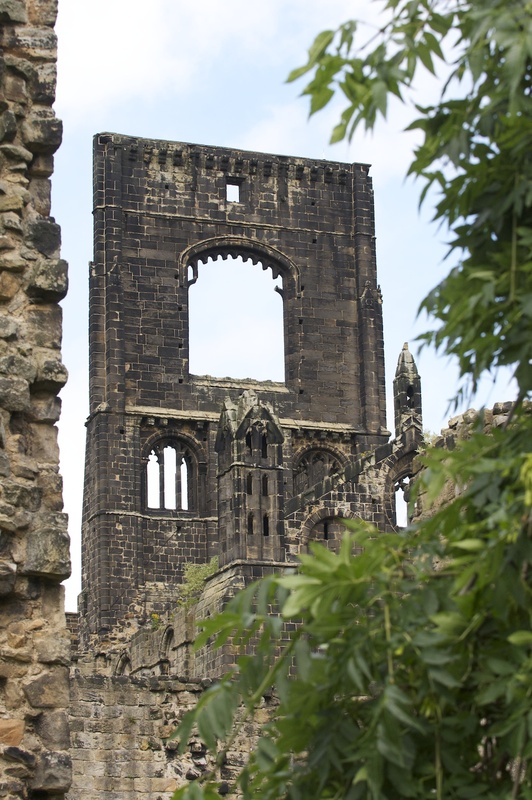 Despite these successive attempts to neglect the history and sanctity of the place, Kirkstall Abbey is described as the most complete example of early Cistercian building in Britain. The stonework has absorbed the grime of the Industrial Revolution, but the workmanship is still evident. Nowadays, Kirkstall provides a dramatic setting for festivals, theatre productions and rock concerts. When Verity graduated from Leeds in 2009 we spent an afternoon there, exploring the ruins and enjoying some creative photography. As modern city life goes on around it, Kirkstall’s soaring architecture still has a stark, unyielding presence. If you enjoyed this post, you might like to read about Fountains Abbey, also in Yorkshire – one of the most spectacular ruins I’ve ever visited. Click on the image for more! Amazing ruins it still seems like a beautiful sanctuary.. great history behind it!